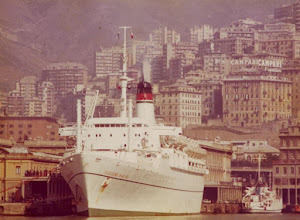 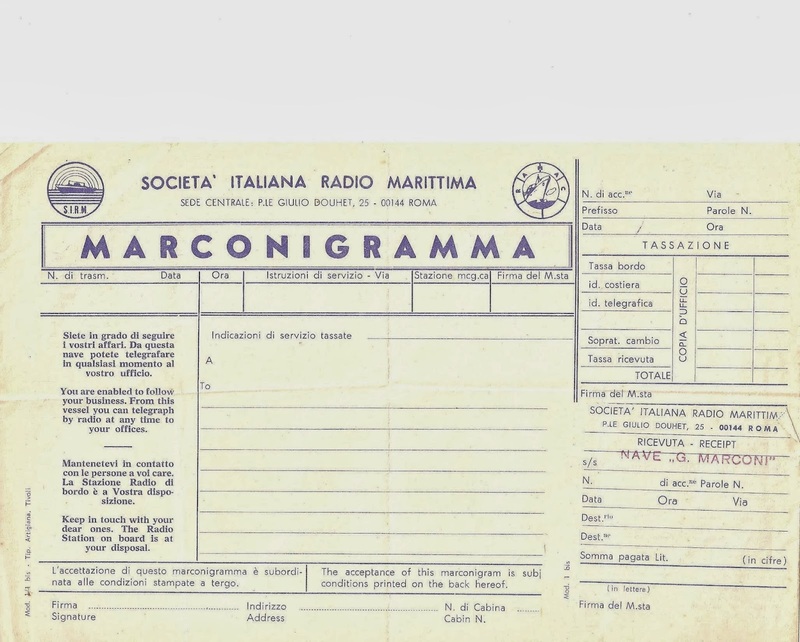 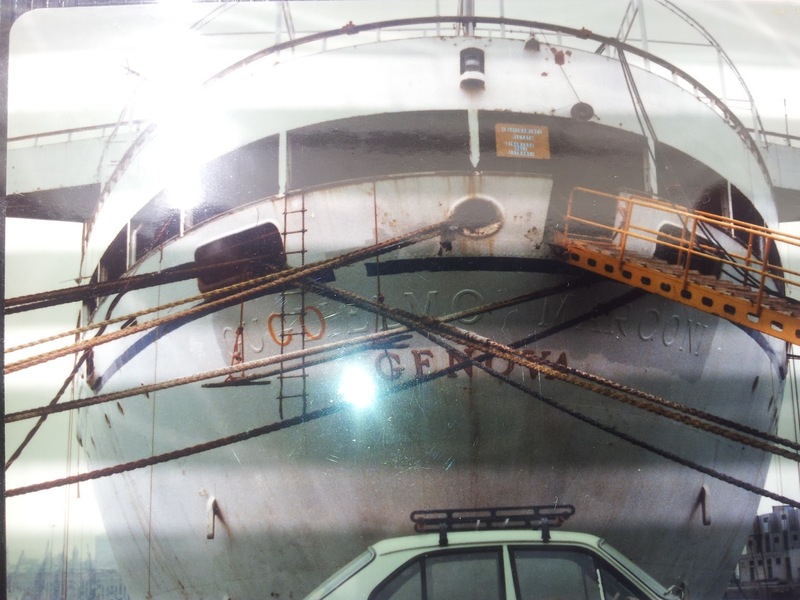 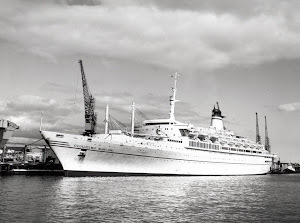 In 1976, can't really remember the date, I went on board MARCONI with a very good friend from my primary school years, Francisco Moura, him also a great ships enthusiast, we been together on many ship spotting in our native Lisbon, this was a special occasion for him though, we embarked on one of the tugs that would assist MARCONI and clearly remember him saying to me, " you were right, this ship is really amazing", minutes later we stepped on board for a tour of the ship, something that being his first time he cherished for nearly four decades, earlier this year we met again is his house and as a gesture and appreciation of my admiration for this ship he decided to offer me the deck plan and a copy of a telegram that he was presented on board, memorabilia that he has saved all these years, I can't thank him enough for this, this is a bit of history posted on this blog, the deck plan of the ship when she was introduced for the Europe to the River Plate service in January of 1976. 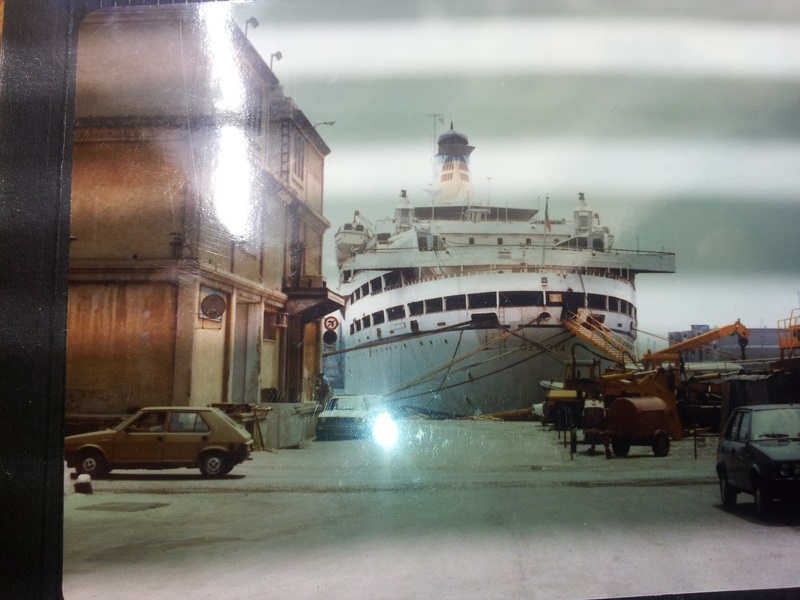 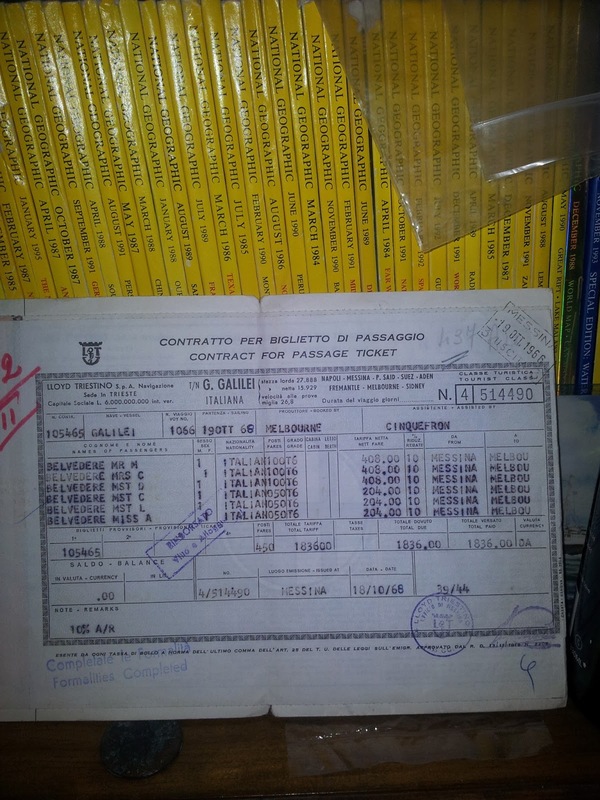 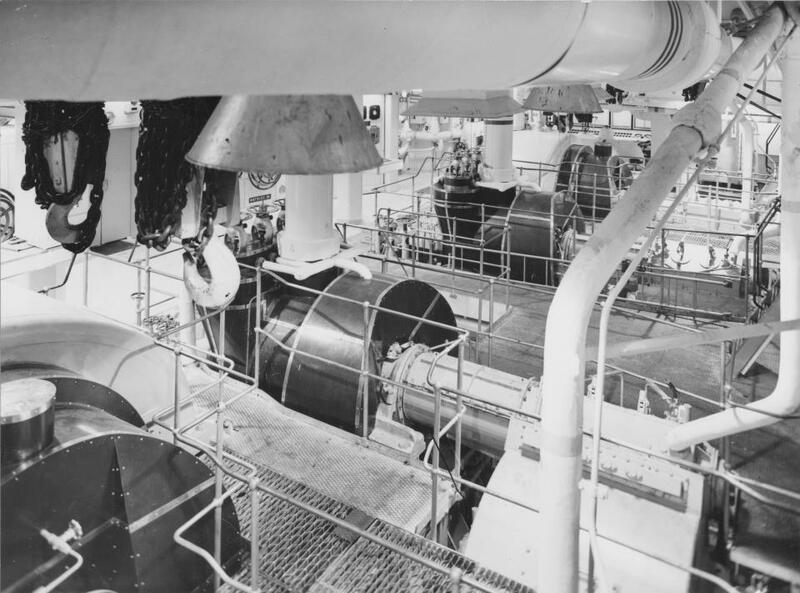 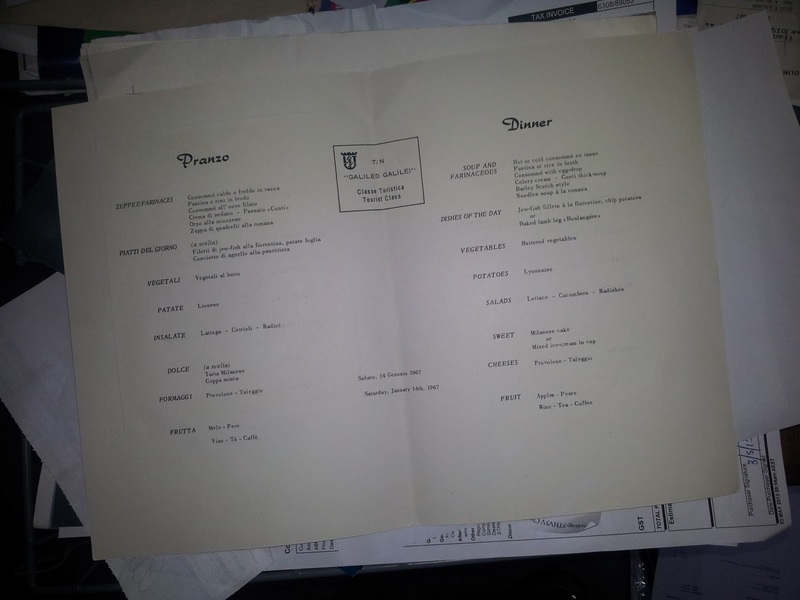 Thank you to Claudio for sending these Historic images, some marvelous additions to this Blog. 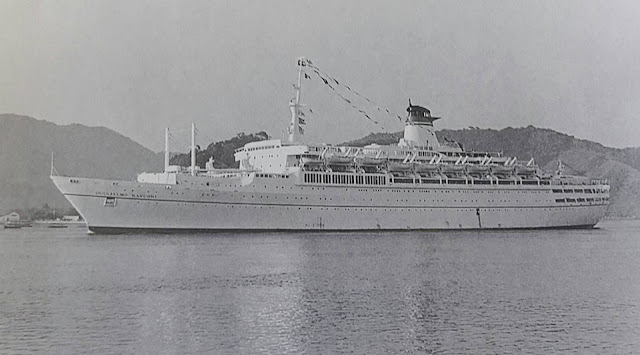 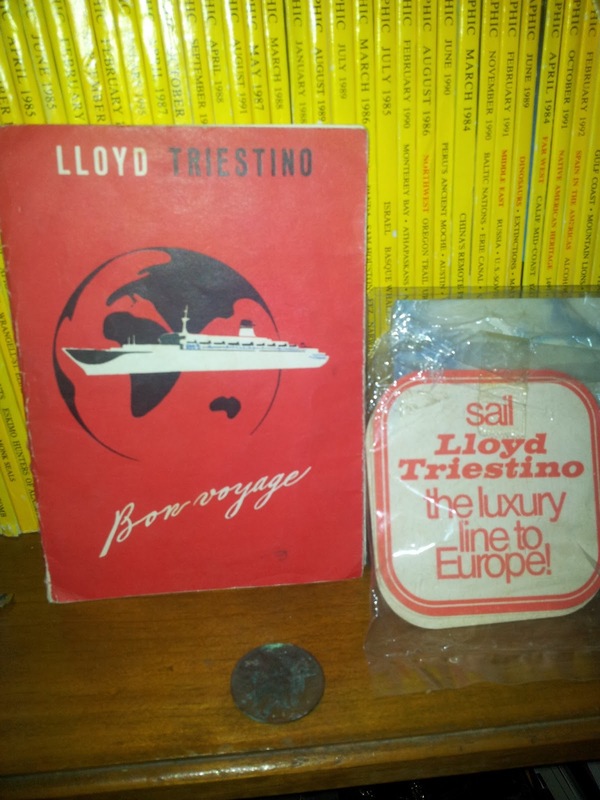 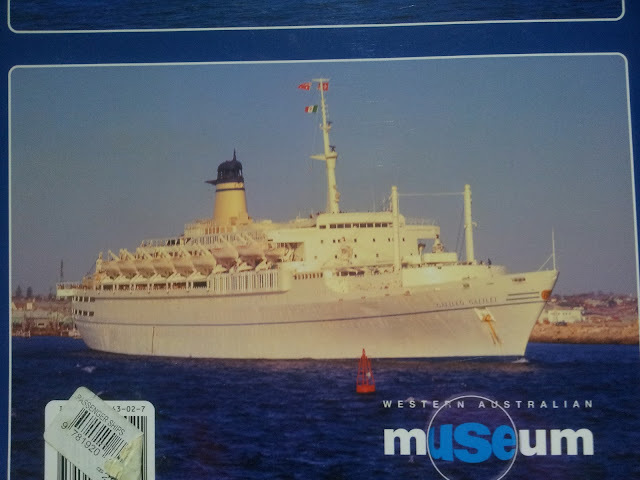 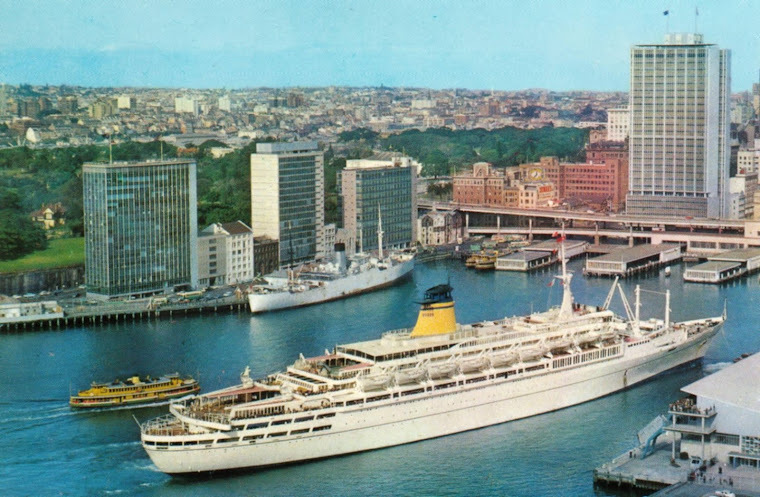 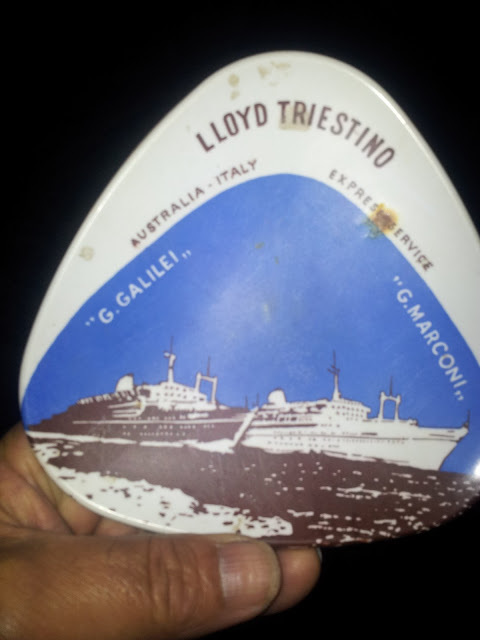 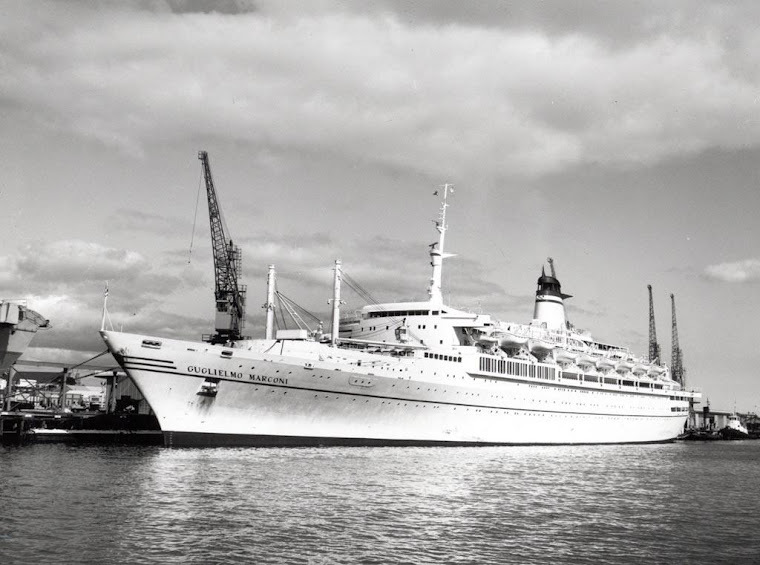 Thank you to Claudio Belvede for sending me some items he's collected for many years of memorabilia of the Lloyd Triestino sisters, Claudio traveled on both ships back in 1966 with his family and developed an enthusiasm on passenger Liners, these two being his favourites. 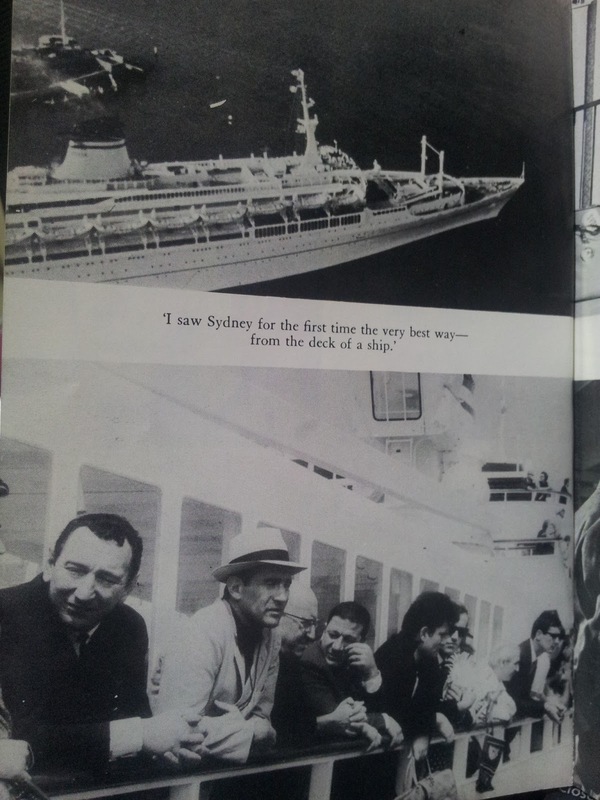 I am overwhelmed with the interest on the Blog, so once again thank you all the followers and readers. 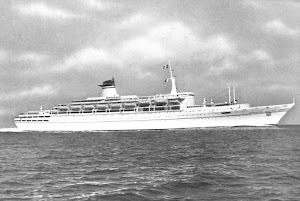 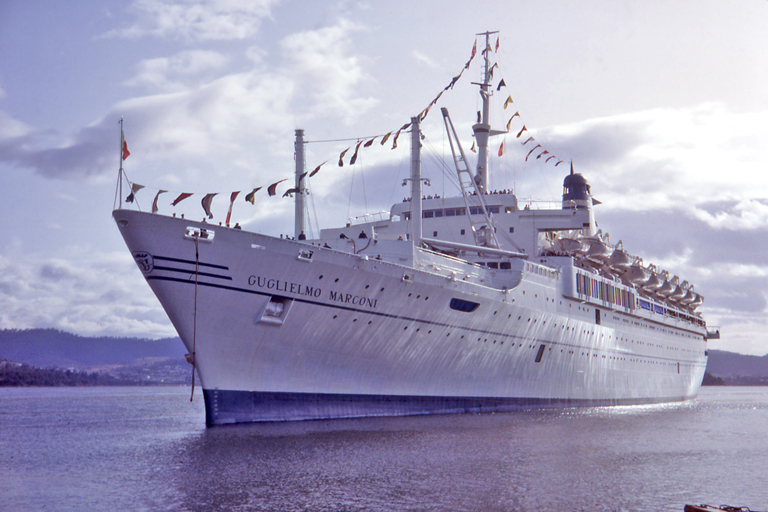 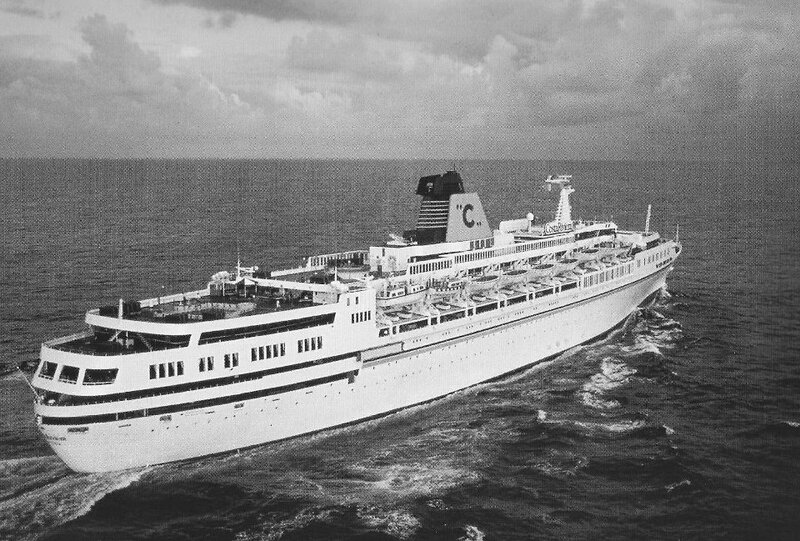 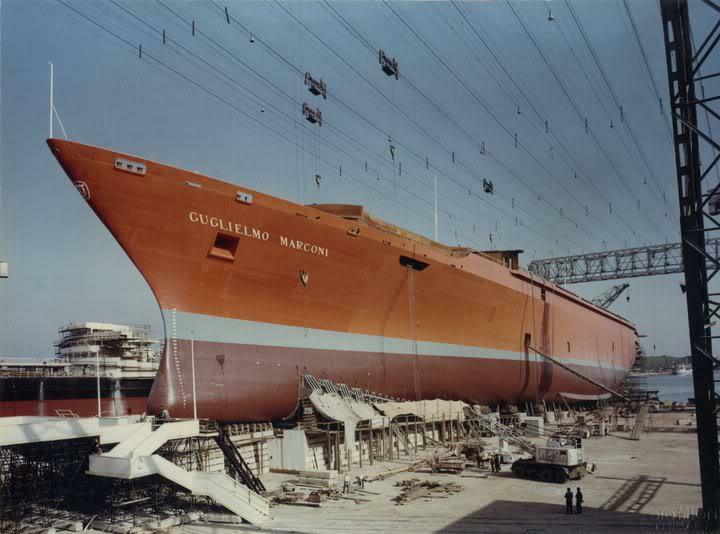 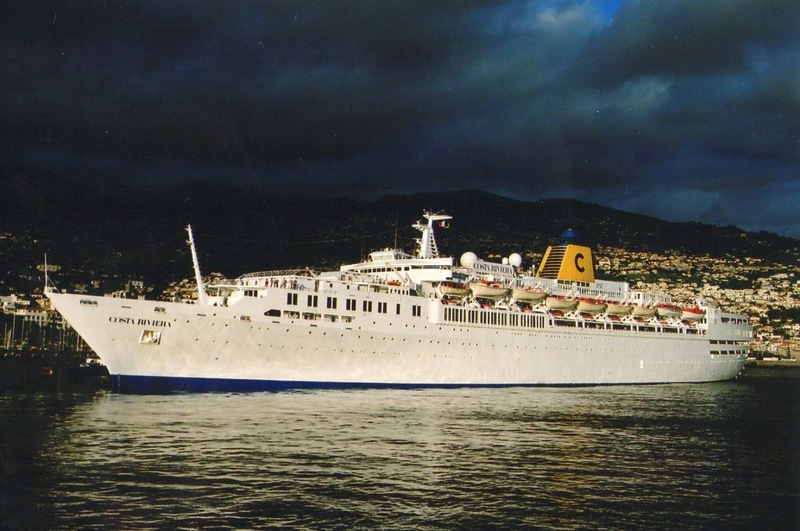 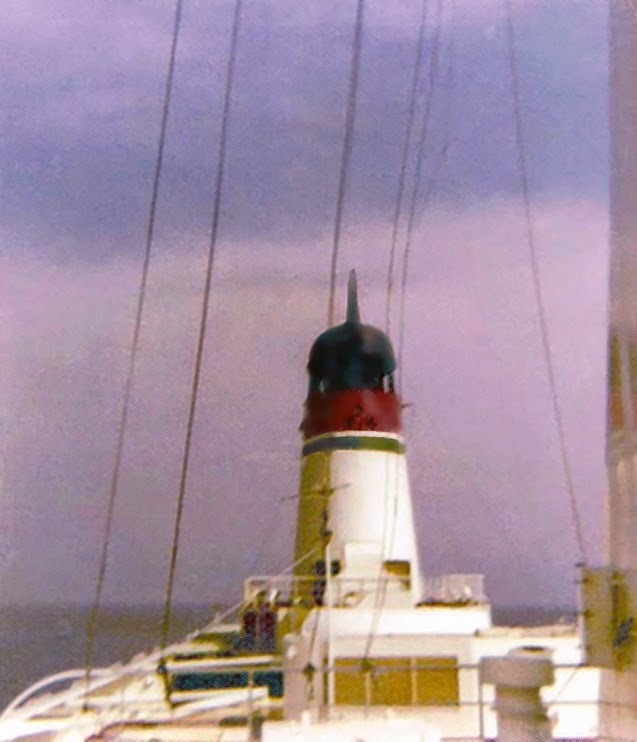 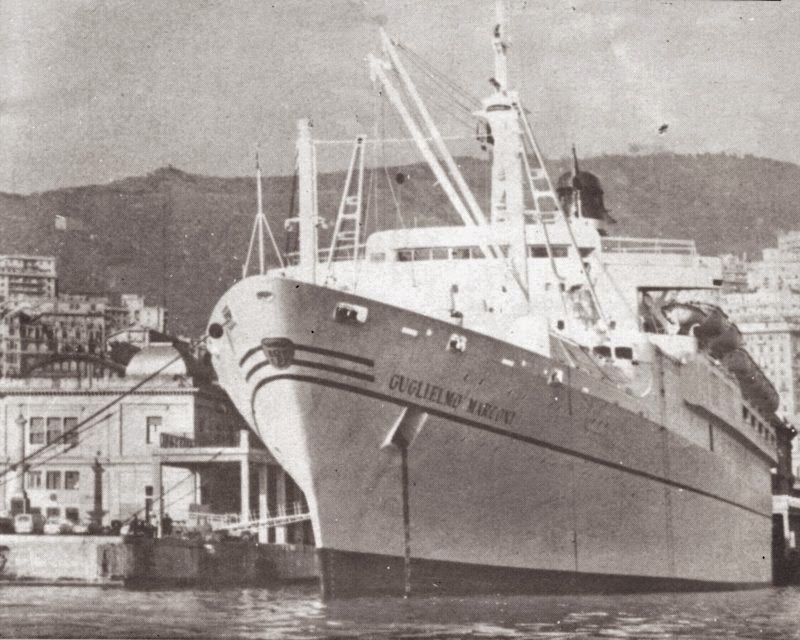 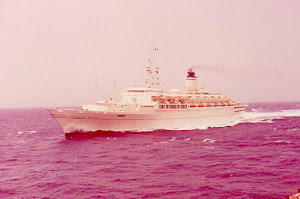 "GUGLIELMO MARCONI" sailing as the cruise ship "COSTA RIVIERA"
MARCONI sailing as the "COSTA RIVIERA", after a complete rebuilt she was back at sea in 1984 after three years laid-up, her superstructure was greatly modified, the original funnel was kept until the very end of the ship in 2002 but a new larger funnel version was added and completely covered the original one. 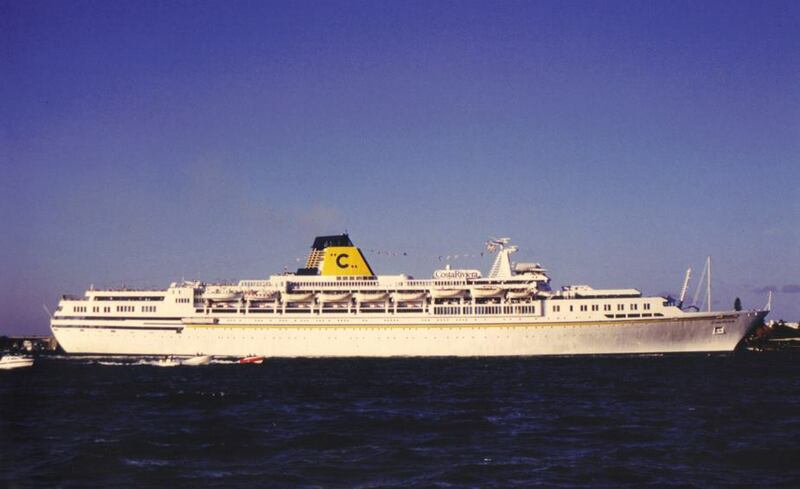 Arriving Poole on a beautiful sunny day - Photos taken 20.6.2014 arriving Poole from on board LD LINES "NORMAN ASTURIAS"